"What happens if I find myself a party to a contract I entered into ‘by mistake'?" So begins the Preface of Bruce MacDougall's latest publication, Mistake in Contracting. 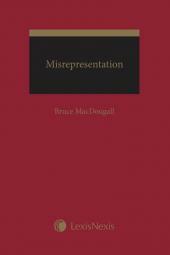 Joining earlier tomes, Misrepresentation (2016) and Estoppel, 2nd Edition (2019), this third and final book in MacDougall's trilogy on "truth in contracting" aims to answer that question by bringing "some order to the law on mistake in contracting." This is not necessarily an easy task, as he explains: "What seems like a simple question is surprisingly complicated, both in terms of understanding what that question means or encompasses and also in terms of how the law will or will not respond to such a situation." 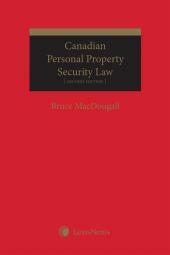 That said, MacDougall delves into the topic with committed enthusiasm, and in the process, sheds valuable new light on this complex subject. Mistake in Contracting is divided into two parts. Part A examines the issues that unite the different aspects of mistake and make it a "family" of doctrines, as well as the relationship between the family of mistake doctrines and other doctrines that arise in contract contexts. In Part B, readers will learn about the various context and doctrines of mistake. In particular, attention is paid to mistake inside the contract, such as errors connected to the obligations the parties have taken on or the very nature of the transaction – non est factum. Other examples of this type of mistake are examined in chapters on errors in particular terms in the contract or in how the contract was recorded. Mistake in the background to the contract is discussed in detail in chapters relating to erroneous assumptions made by the parties or by one party that, at least in part, induced the contract, as well as mistake as to the identity of the other party. 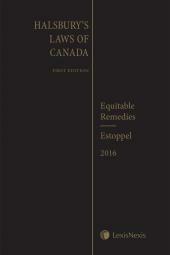 Ultimately, lawyers and other legal professionals can rely on this text to provide a comprehensive treatment and analysis of developments in the area of mistake in both Canada and the U.K., including the recent Supreme Court of Canada cases that address the issue of rectification. A. Equivalent to a condition? C. Need for a completed written contract?